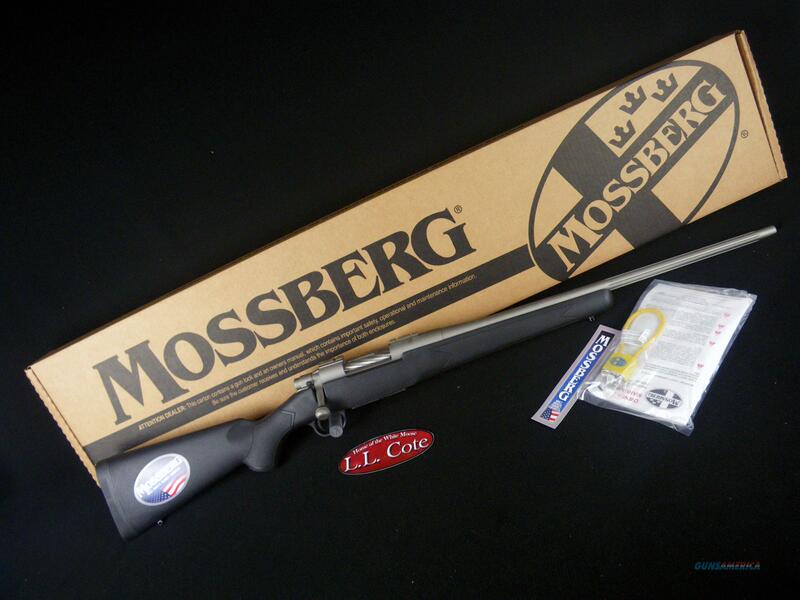 Description: You are bidding on a Mossberg Patriot Synthetic in 243 Win with a 22" barrel. The Mossberg Patriot is a fantastic choice when it comes time to put meat on the table. It is an accurate and versatile offering that provides excellent constancy with each and every round sent down range. The fluted barrel has a recessed target crown with a 1:10 twist. This lightweight rifle is sure to impress new and seasoned shooters alike with its reliability in form and function no matter what the conditions. Don't miss another opportunity to fill your freezer hunting season after hunting season with the Mossberg Patriot. Displayed images are stock photos. Any questions please feel free to ask (our phone number is in the additional information tab above).